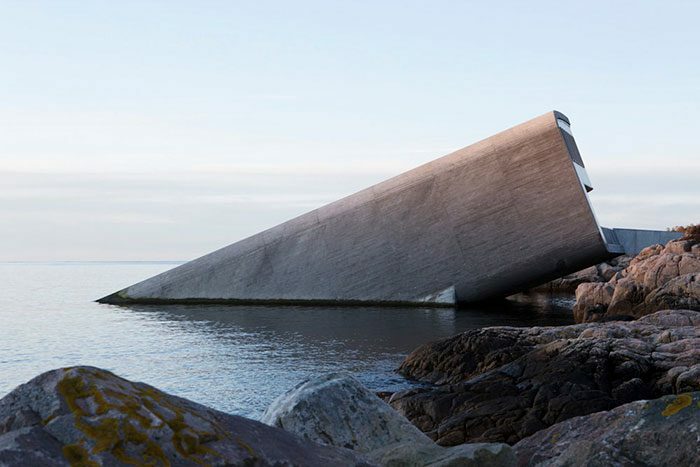 Snøhetta has completed one of the most talked about restaurants in Norway, with a seating capacity of 100 guests – underwater. 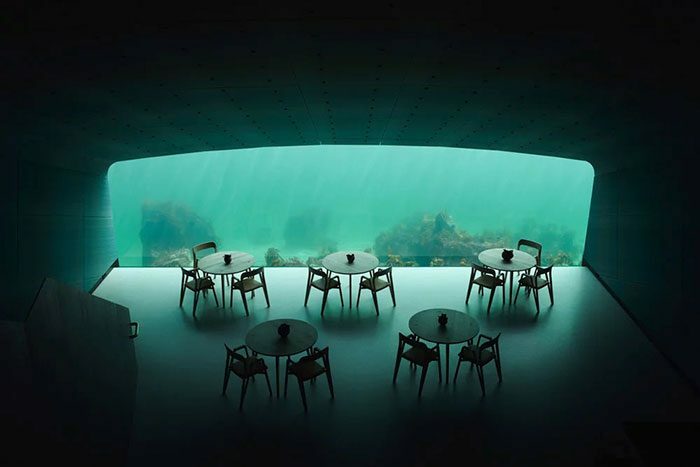 This incredible underwater restaurant, appropriately named Under, is the first of its kind in Europe, and it also doubles as a research center for marine life. The restaurant, which opened a few days ago, has become one of the most likely dream destinations for travelers. This spectacular structure is 111 foot long and breaks through the surface of the water and into the seabed below. It has thick walls which allow withstanding shock and pressure from the rugged sea conditions. It also features massive, spectacular windows which will enable guests to have a clear view of the seabed as it changes throughout the seasons and weather conditions. The main focus of Under is to offer a high-quality, unforgettable dining experience, which focuses on sustainable wildlife capture. The architects designed this magnificent resgtaurant with an opulent interior which expresses a warm and welcoming ambiance, keeping in mind Norway’s intense weather conditions. 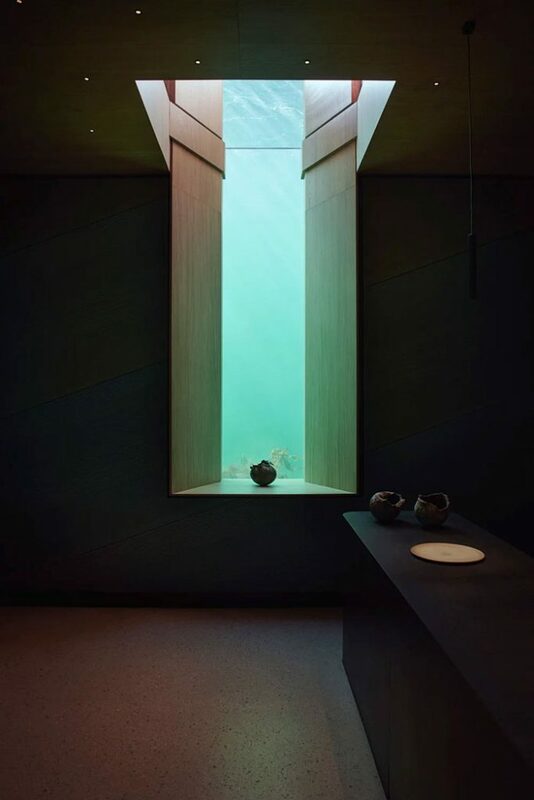 Some might describe Under as an aquarium of sorts. 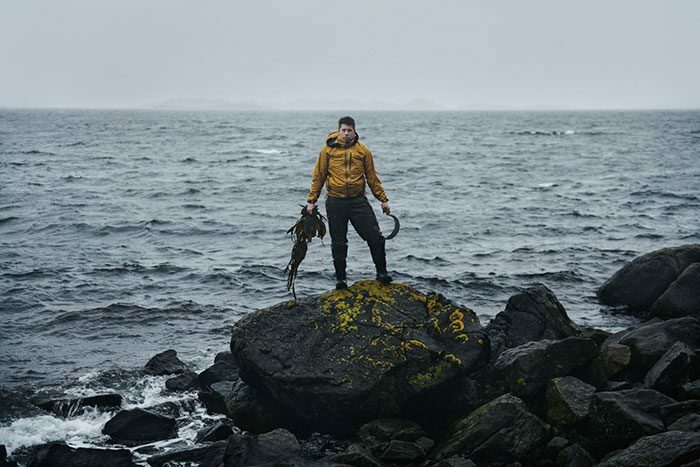 It is more than a simple restaurant, housing a marine research facility and welcoming research teams that will be able to study fish behavior and marine biology through the equipment installed in and around the facade of the restaurant. It is believed that they will be able to document the behavior, population and diversity of fish species found in the surrounding areas. The research aims to collect data which can be programmed into machine learning tools that monitor the population dynamics of key marine species regularly.